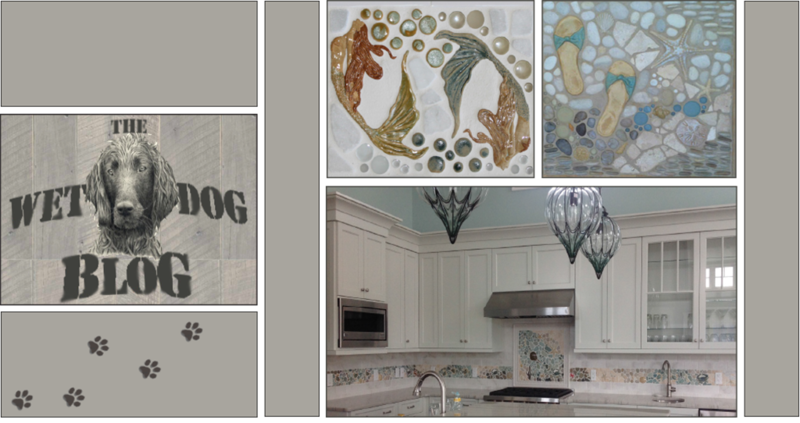 Today is glazing day here at Wet Dog Tile! We're loading up the kiln with pieces new and old. 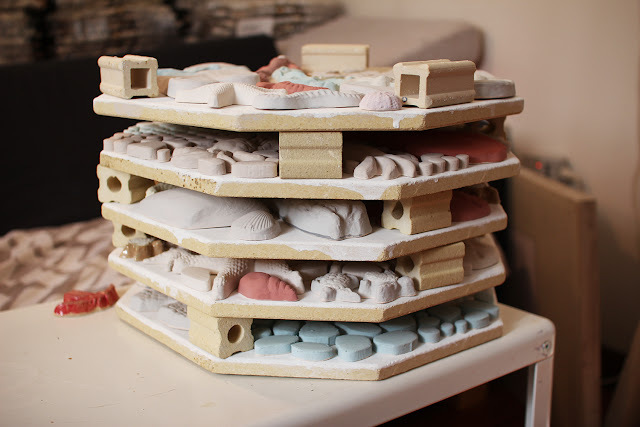 In the photo below you can see a bunch of pieces such as seahorses, mermaids, starfish, various shells, and more, glazed in many different glazes! In this post we wanted to share a couple of the new large-format pieces with our followers, so below you can see part of a new 6 piece mermaid we're working on! 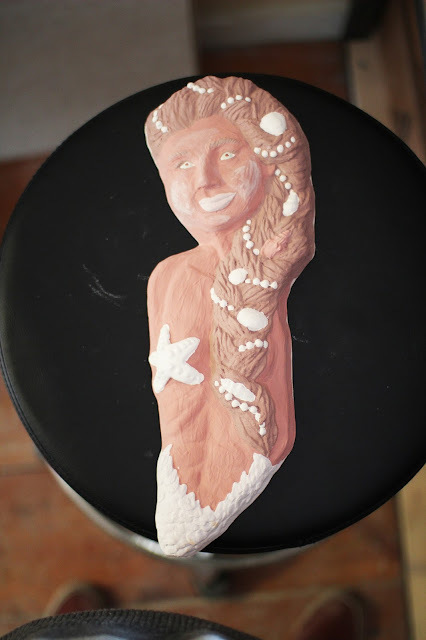 The glazes look a bit off (maybe even scary) right now, but once fired, the mermaid will look normal, we promise! 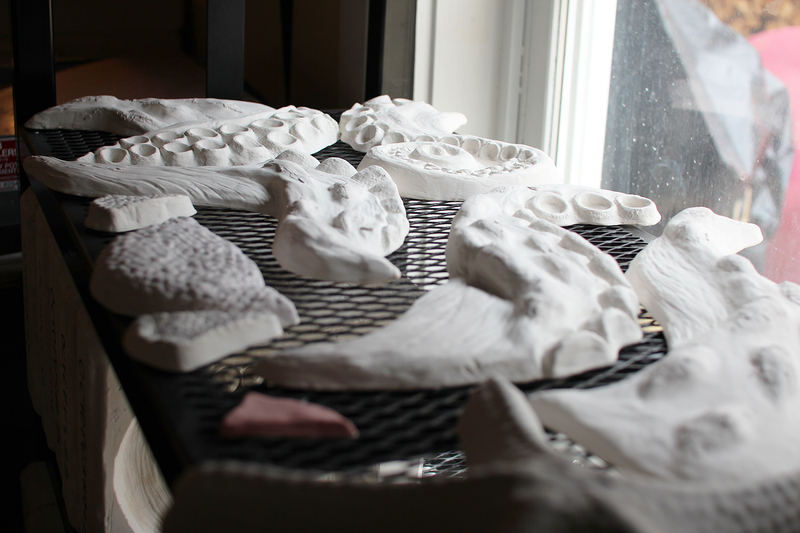 In the third and last photo are a few Octopus pieces (part of a 19 piece octopus! ), a mermaid piece, and some XL turtle pieces.